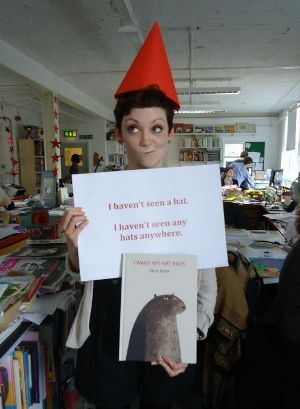 Picture Book Party: Go behind the scenes with the picture book team take over! Go behind the scenes with the picture book team take over! To give you an insight into the wonderful world of picture books, one of our very own picture book team is taking over to reveal some of the very special Picture Book Picnic titles coming out in 2012. Get ready to tuck in! Hello, I'm Maria, assistant editor at Walker picture books, and most of my job is about making the best picture books for children!! I get to work for the best authors and illustrators, designers and editors, looking for the very best ideas, helping mix together the best picture book ingredients in the most exciting way. When the magic works − alakazam! − up rises an amazing new picture book. This year, lots of new titles are taking their first steps out of the Walker door. So what can I tell you about the books featured in the 2012 Walker Books Picture Book Picnic? Well, they are all completely different, that's for certain. Big-dreaming ice-lolly sticks (Rosie’s Magic Horse), a dilapidated bus that revives a community (A Bus Called Heaven) … new friends (Oliver) and cat friends (Captain Cat), big brothers (Blue) and noisy families (Too Noisy) ... these books really buzz! Read any one of them and it will carry you away, transport you, take you somewhere you've never been before. Here are a couple of titles I've picked out with the team to start with and we're always happy to chat about them on our Twitter: @BIGPictureBooks Please fire any questions our way! 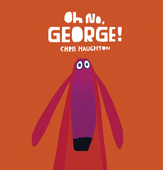 A book we are VERY excited about is Oh No, George! (published March 1st). Chris Haughton’s second picture book introduces a goofy, hapless dog named George who simply CANNOT resist a huge, chocolatey-chocolate cake (I hear you, George!). Chris’ previous picture book A Bit Lost shone out with its olive green cover and now Oh No, George! zings with psychedelic ORANGE. It’s very thrilling to work with someone like Chris because he is part of a new wave of picture book artists with exceptional vision who work digitally, like Kevin Waldron and Jon Klassen − all of whom we’re publishing this year and next. These guys are shaping the future of Walker Picture Books to come! We also have a very sumptuous, dreamy new offering from Polly Dunbar, Arthur’s Dream Boat (published March 1st). Imagine Inception ... but, well, for children! As Arthur attempts to tell his disinterested family all about his amazing dream, we begin to realise that he is still dreaming. This is a book that demands re-reading; scanning back through the pages, there are lots of amazing watery clues to spot … clues that all take the reader to a stunningly beautiful silent finale that carries you away on your very own dreamboat. 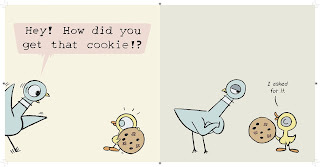 Fibbing and hollering his way back to our bookshelves this May is Pigeon, up to his old Diva tactics in Duckling Gets A Cookie!? This book is hilarious and I hope you all love, like I do, Mo Willems’ unique and wild style! 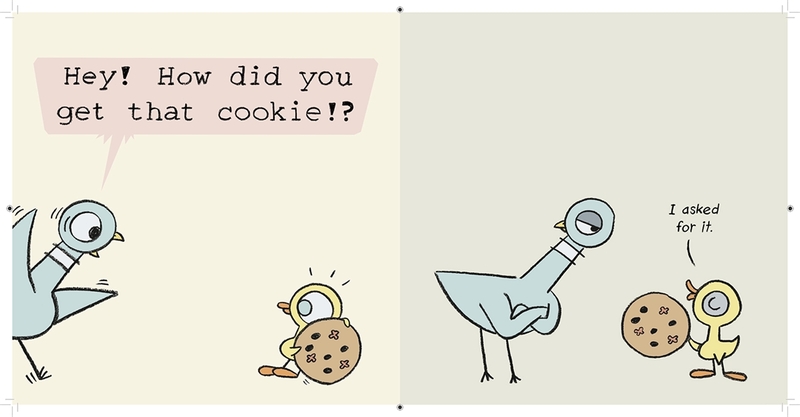 The very wonderful thing about a Mo Willems book is that it is for the very young and the mature − everybody in fact! Both children and parents can recognise themselves in the characters. You can take a look at other Mo Willems' books here. I could go on and on … but I’m actually meant to be economical with words in my job! So here's a talking point for the picnic: in a special kind of storytime way, these books talk straight from the heart and that's a quality all the best picture books share. They really come alive. Wow! You will be emotionally engaged to an extraordinary extent, I guarantee you that. And there’s much much more on its way − keep an eye out for further posts from Maria, coming soon!